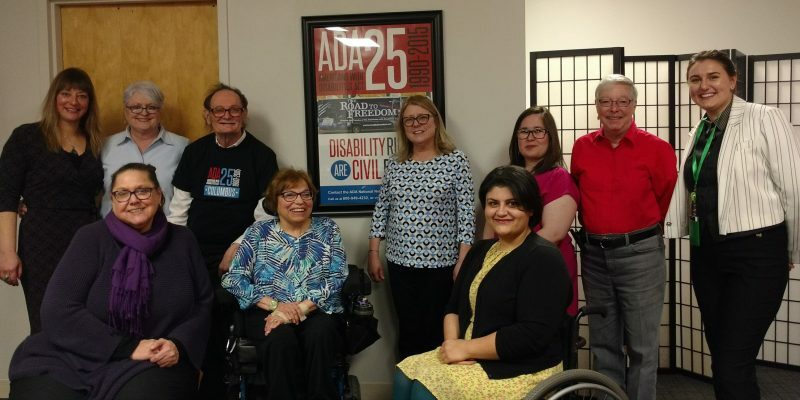 We were more than honored to to welcome disability rights activists Judy Heumann and Tom Olin to our office today. Both have national, historical significance in the disability community. Judy’s short intro is below via wikipedia or whenever you google her. Tom is the “official photographer” of the disability rights movement. His photos are so profound that they have been exhibited in the Smithsonian!